Exercise is good for you, right? If there's a zombie apocalypse, you'd have a much better chance at survival because you will outrun your peers! Leading an active, sporty lifestyle certainly has its perks. Unfortunately, you also expose yourselves to certain injuries such as ACL tears. If it's not managed properly, it can become chronic and affect your quality of life. Dr Alan Cheung, an experienced orthopaedic sports surgeon wrote an article on DxD adressing the most important things you need to know about ACL tears. He wants to help anyone who is suffering from this condition make the most-informed decision possible. Here are the key takeaways. The ACL is one of the main ligaments in the knee. Sitting in the middle of the knee, its key function is to stop the shin bone from sliding forward and rotating excessively. If your ACL is torn, the knee has a high chance of giving way at times of rapid movement that require a sudden change in direction. Sidestepping, pivoting or other complex movements that are often required in basketball, rugby or martial arts, are all compromised with a torn ACL. You're turning on your knee during sports and suddenly, you feel a 'pop' sensation in your knee. Then realised that your knee is swollen. According to Dr Alan, there's a high likelihood your ACL just tore. The swelling is due to the bleeding of the torn ligament. Case in point: Michael Owen's sickening injury during the 2006 World Cup. The good news? All these athletes from differing sporting backgrounds were able to resume their careers after an ACL reconstruction. So keep your chin up! An ACL tear usually doesn't heal well on its own. Imagine a rope that is completely torn in the middle. It’d be difficult for the rope ends to come together for a long enough time to heal. Because the knee is moving all the time, it won't allow for full recovery. Unless you play sports that don't involve sudden turning movements, surgery might be your best option. ACL reconstruction involves a surgical process which completely replaces the torn ligament with a "graft" (replacement tissue). This restores stability in the knee. Before Dr Alan proposes an ACL reconstruction, he'd usually recommend you to go to a good physiotherapist for rehab first. This allows the knee to regain full range of movement and strength. According to Dr Alan, this is the “gold standard” (best) treatment for athletes who want to resume playing sports. Public hospitals offer treatments from $502 - $1,200, while private hospitals can cost anywhere between $17,000 - $21,000. The cost can vary substantially according to length of stay, bed class, implant costs and hospital facility fees. In certain private hospitals, if you have an Integrated Shield Plan and a full rider, you may be eligible for cashless treatment, with no payment needed at admission or discharge. Government hospitals on the other hand offer subsidies of up to around $3,950 for the surgery. An ACL reconstruction will cost you around $1,000 after subsidy. Surgeon fees ($8,560 - $13,000), Anaesthetist Fees ($1,605 - $2,100) and Facility Fees ($4,300 - $6,800) make up the overall costs of private hospitals when you opt for ACL reconstruction surgery. Public hospitals are known to be cheaper but you may have to wait several months for the surgery (as opposed to a waiting period of about a week in private hospitals). Dr Alan also offers a treatment called ACL repair. 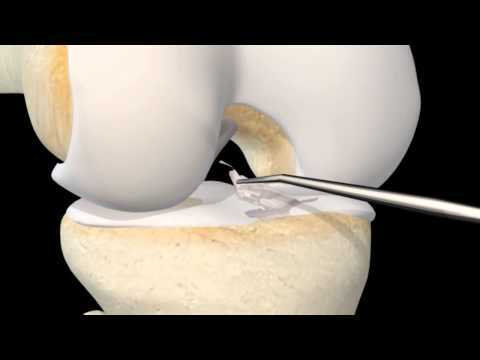 This method involves reattaching the ends of the torn ACL to the thigh bone via a device called an internal brace. However, not all ACL tears can be treated this way. An ACL reconstruction surgery should be done within a few weeks of the injury. If you wait more than 6 months to get it fixed, it may lead to higher risk of injury to other structures in the knee. What are the pros and cons of ACL reconstruction surgery? First, the good news; you'll restore knee stability, you'll be able to return to sports, there's a possibility of a reduced risk of early arthritis and results are even better if other damaged structures like menisci are repaired concurrently. The bad news? There's a long recovery period and rehabilitation process to look forward to. Also, you'll bear the costs and potential risks of surgery. In the case of ACL reconstruction (and as pain allows), get moving as soon as possible after surgery. Your physiotherapist should get to work right there in the hospital with knee straightening, swelling reduction and muscle retention exercises. Physiotherapy is a crucial factor after surgery to recover in the best way possible. Leading a very active lifestyle does make you more prone to injury (sad but true). It just comes with the territory, right? With that being said, injuries like an ACL tear is still manageable! If you take care of it properly, you will definitely be able to recover. Take Dr Alan’s advice and keep your knees at optimum strength. This article is medically reviewed and based on an original article written by Dr Alan Cheung. Click here to read the original article.